Black oxide finish, solid precision machined construction. The AR muzzle brake will reduce recoil & climb which will improve shooting and control. 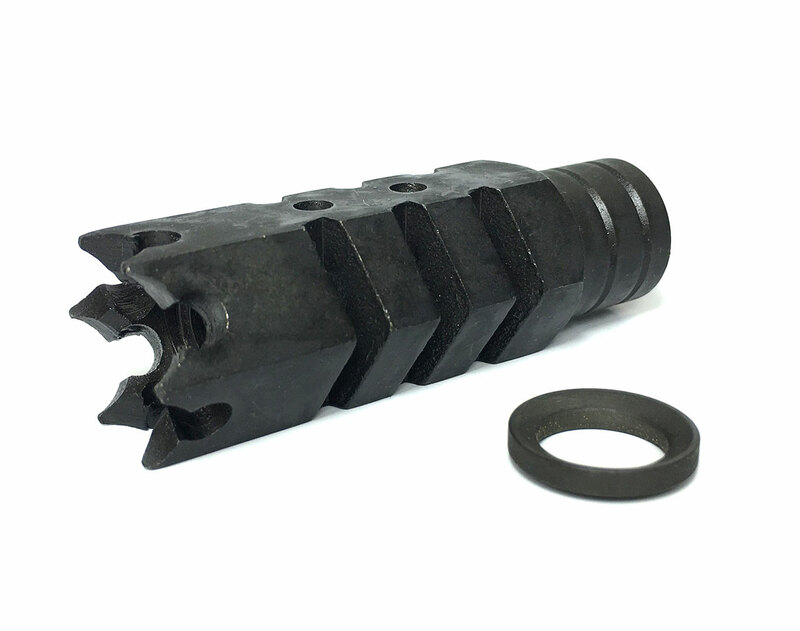 The AR Shark muzzle brake redirects propellant gasses and reduces recoil and flash dramatically. Wraps around your threaded barrel and threads on 1/2"x28 thread pitch.